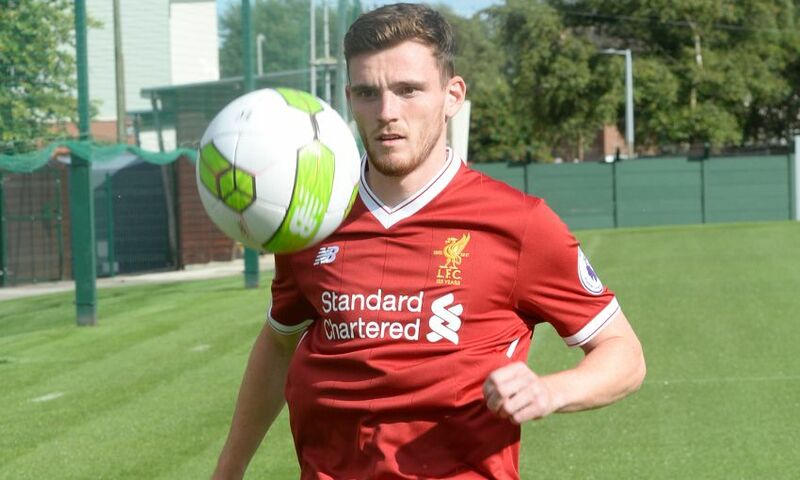 Liverpool FC can confirm the signing of Andy Robertson from Hull City. I watch a lot of Premiership, and the problem with Hull was not the defense but their attack. Their attack was horrible. He got a bargain. 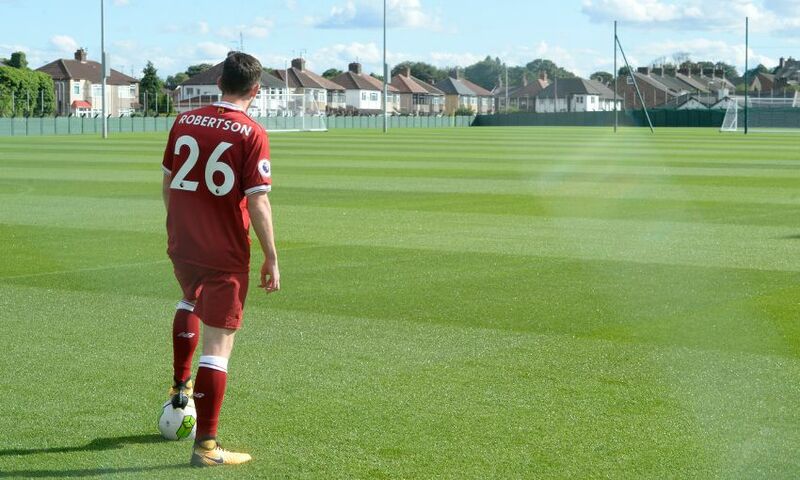 "For Andrew this is another big step on what has been a quite incredible personal journey in a very short space of time," he told the club website. "I love his story; where we has come from professionally to reach this point. "When you speak to him it is clear why he makes his progress. He has a burning love for playing football - he really loves the game. "His attitude is outstanding - absolutely outstanding. His talent and skills - also very, very good. "He has experience of this competition, the Premier League, and he has the mentality and quality to get even better. I know our environment will benefit him and help him push himself even more than he has already. This is a player who does not limit his ambition." Good to see we've finally got a left-footed left-back. All the best Andy, give your best for the shirt and you won't go far wrong. Outside of Southampton as well. F**k Yes What I had in mind was that do not judge this guy because his club was relegated. If he came from Spain and was called Robertino, we would be saying what a signing. I wouldn't say their defense wasn't a problem, it was the worst in the league. They conceded the most (80 and kept the least amount of clean sheets (5). Welcome to the club, Andy! It's going to be interesting to see if he does enough during the rest of pre-season to win the starting spot for the Watford game. Pace, skill, strength, game intelligence, and a left boot, this lad has all the tools to be a top LB for us. It was but the fault was because their midfield and attack did not do them any good. Nonetheless, I believe it is a good signing. Confident he will do well over time. Decent signing considering the transfer fees this season. Welcome Andy. Hope you smash it. Hope he puts Milner out of a job at LB. Think we all knew this one was happening some time ago, thankfully over the line now and wish him all the best. Best of luck Andy, welcome to the best club in the world!! If Andy and Trent end up as the starting fullbacks, we will have three players who can cover at both right and left back (Clyne, Gomez and Milner). Not mad on the transfer but he must be absolutely buzzing to signvfor Liverpool. Any natural lefty at left back (Moreno aside) has to be an improvement in our attacking play. Good luck to him! I'm sure many would have said the same if we had signed Bertrand or Davies a couple seasons back. You can shut up too. Not in the mood for your garbage. We have Barca trying to poach Coutinho, Keita and VVD is still not signed.... and we sign area we badly need quality from a relegated side! Arsenal signed a very good left back, didn't see them checking in the bargin bin. It was either us or Burnley, nobody else was interested. 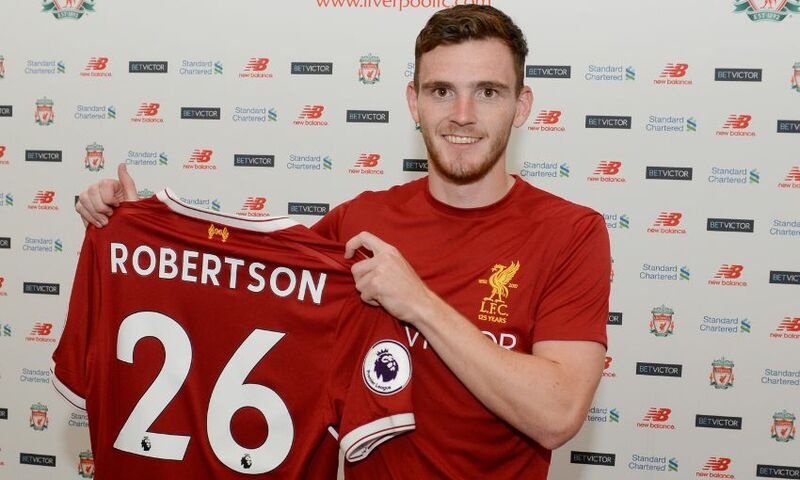 After reading your comments I think Robertson will end up there with the legends of Anfield when his time here is finished; no better indicator of quality then to have your stamp of disapproval. It's a bargain! £8 mil these days, for a experienced LB with tonnes of potential, good signing! People just like to be yes men and agree like sheep rather than speak what they really think, stick a poll on here if we should have signed Robertson and NO will win by a landslide.